An honor graduate of the landscape architecture program at Virginia Tech, Kaitlin brings extensive experience in both small scale and large scale projects. After several years working in the public sector at a local firm, Kaitlin joined our team in late 2017. As a registered landscape architect, Kaitlin provides oversight at every stage of the design process through construction. One of her favorite parts of working with Ross Garden Design is the ability to stay involved in the design all the way to installation. It is amazing to see the design transform from a pencil sketch to reality. Kaitlin loves working in the residential realm, where the smallest of details can make a garden truly come alive. Kaitlin strongly believes that every project is a new opportunity to incorporate new materials and create a space that is a true reflection of the user’s personality. 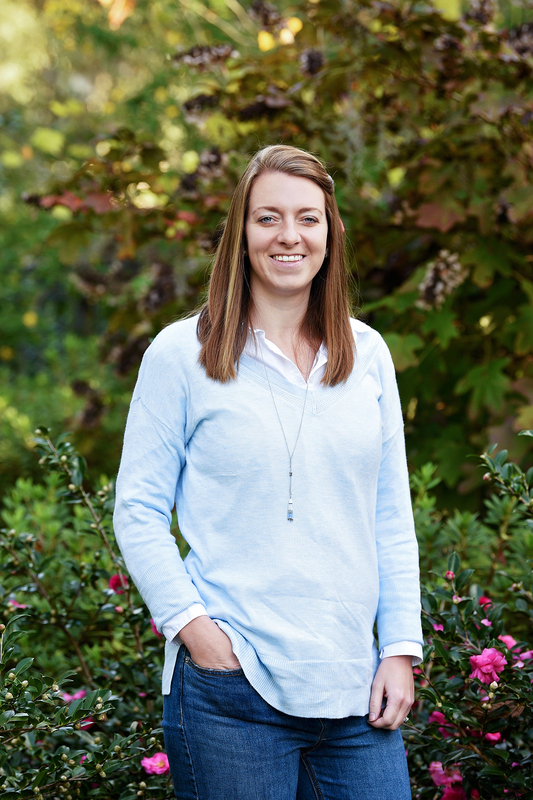 Kaitlin is a member of the American Society of Landscape Architects and enjoys spending her free time camping and spending time outside with her husband, Alan and newborn son, Rivers and their two dogs.